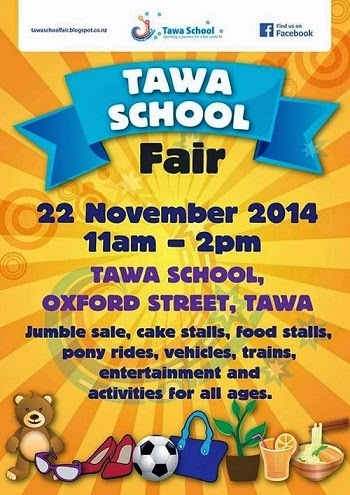 Tawa School Fair: We're having a Fair! What: Jumble Sale, cake stalls, food stalls, activities galore, pony rides, sandpit treasure hunt,dog obedience, chocolate trailer, silent auctions, the famous "Surf Daddies" AND LOTS, LOTS MORE! Don't miss the "Spooky House" the awesome entertainment, the wonderful crafts made by our students.